One afternoon a few weeks ago, a few friends and I strategized a last-minute get-together by text: Friday night? Allison’s house. Everyone brings a bottle of wine and something for the cheese board. These kinds of spontaneous get-togethers always seem to work out best—there’s no checking of schedules weeks ahead of time, no pressure on any one of us to plan a party and menu. 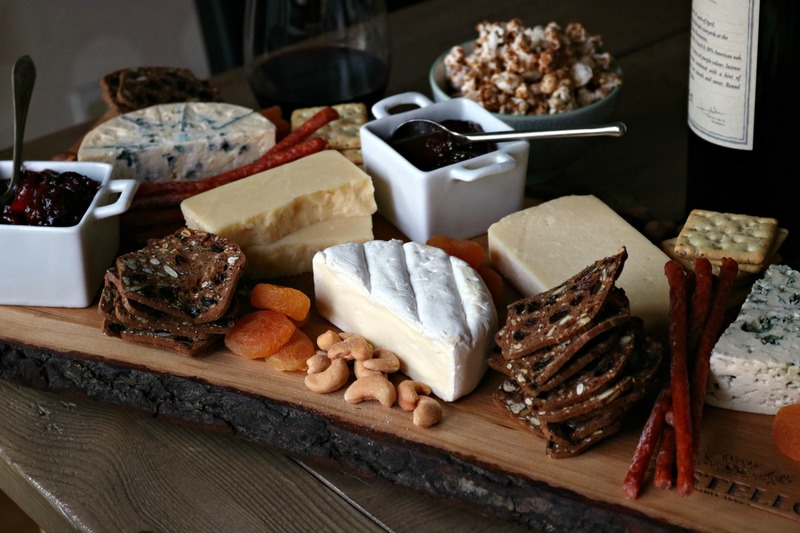 A cheeseboard can be assembled in minutes, and makes any gathering of people seem more official, with a focal point to gather around and nibble from. 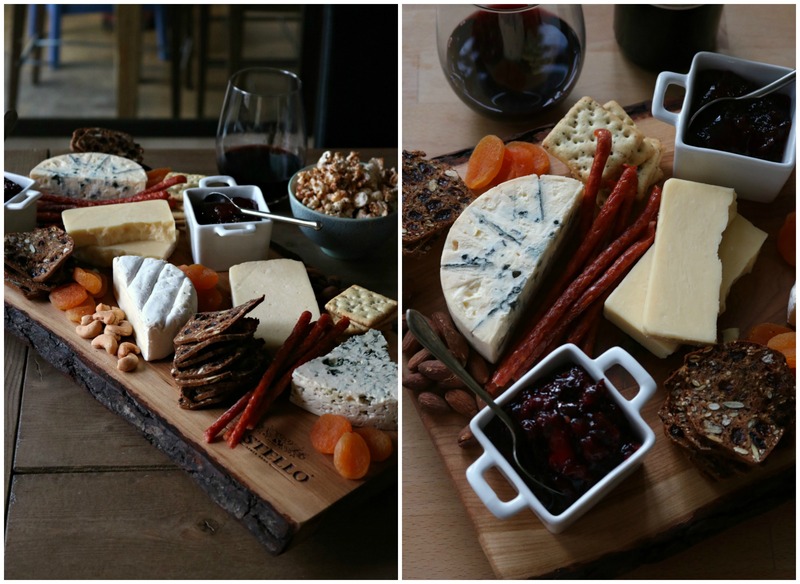 The best part: everything goes on a cheese board, from nuts to dried fruit. I can pick up a cheese or two at the store en route, or rummage through my pantry and grab a ripe pear, a bag of crackers or cashews, half a jar of olives and the last of the crabapple jelly to contribute. Once everything is piled onto a board, it looks wonderfully appealing—a sort of mini potluck, and no one has to cook. These impromptu parties are some of the best, the evenings I look forward to, getting the chance to spend time with people I don’t get to see often enough. 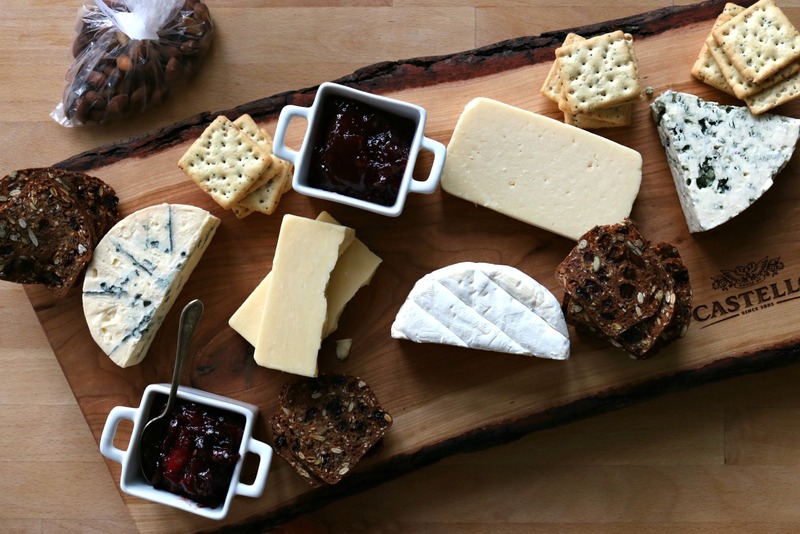 But even when get-togethers are planned, I generally have a cheeseboard on the menu—because who doesn’t love cheese? It’s low-maintenance, and requires only putting things on a board or tile or platter, which can be done as people are ringing the doorbell. Pick up 3-5 kinds of cheese in a variety of textures, shapes and flavours, from mild to aged—I like some aged cheddar, some brie and some blue. For this particular board I picked up some Castello Double Crème White and Double Crème Blue, Castello Tickler Extra Mature Cheddar and Castello Aged Havarti (one of my new favourites), and Castello Danish Blue. Take your cheeses out of the fridge 20 minutes or so before you plan to serve them, to ensure they aren’t fridge-cold. 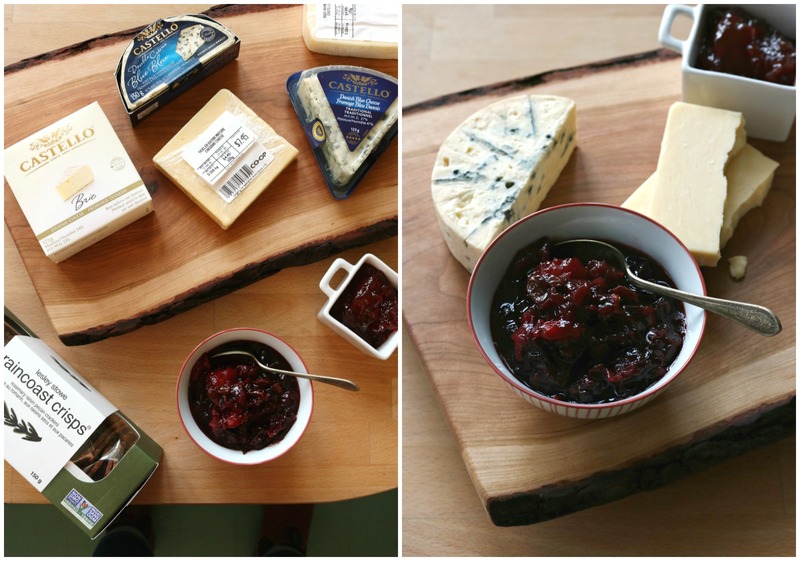 I had a handful of squidgy plums at the bottom of the fridge, which I chopped and simmered with a small chopped onion, some brown sugar, apple cider vinegar, a pinch of curry powder and a few raisins for a quick cheese-friendly chutney. Then I filled in the empty spaces on the cheeseboard with crackers—a couple different kinds—some spicy pepperoni whips, dried fruit and nuts. Gherkins or olives would be great too, and in summer I might add some berries or pickled asparagus spears. I’ve never had a flair for accessorizing except when it comes to cheese—part of the fun is rummaging through your kitchen for things that will work, like an Eccles cake, cut into wedges, or the last few slices of raisin-apricot bread, toasted. I love scenarios in which anything goes. Truly, I would choose this for dinner even when it’s just us at home – perhaps decorating the tree or getting into our PJs early to watch Christmas movies. Planning or no, cheese is the way to go—however you fill the gaps and whomever you invite over to share. A huge thanks to Castello for sponsoring this post – and they’re giving away a cheesy package just for you guys! 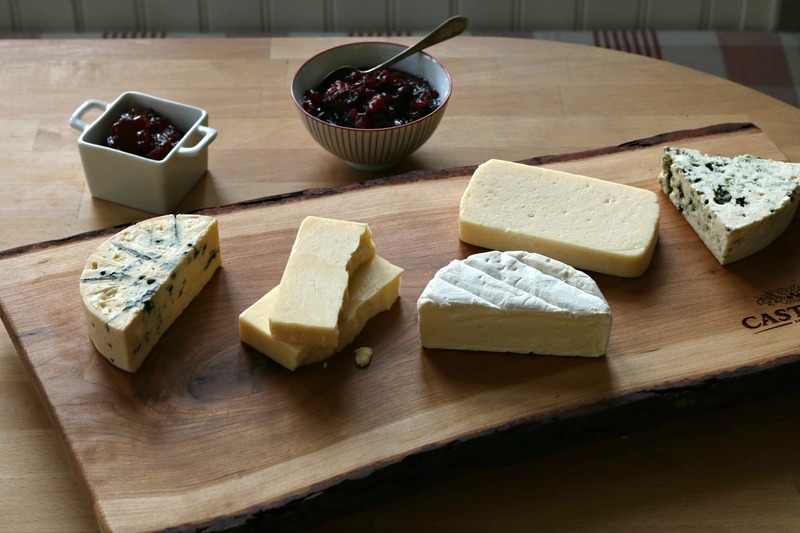 If you’d like to win this cheese board (isn’t it gorgeous? ), $20 in cheese vouchers and a set of chalkboard cheese flags to get your party started, you can enter right here! dry fruit & lightly roasted nuts &/or fruit preserves nice additions toa cheese board. 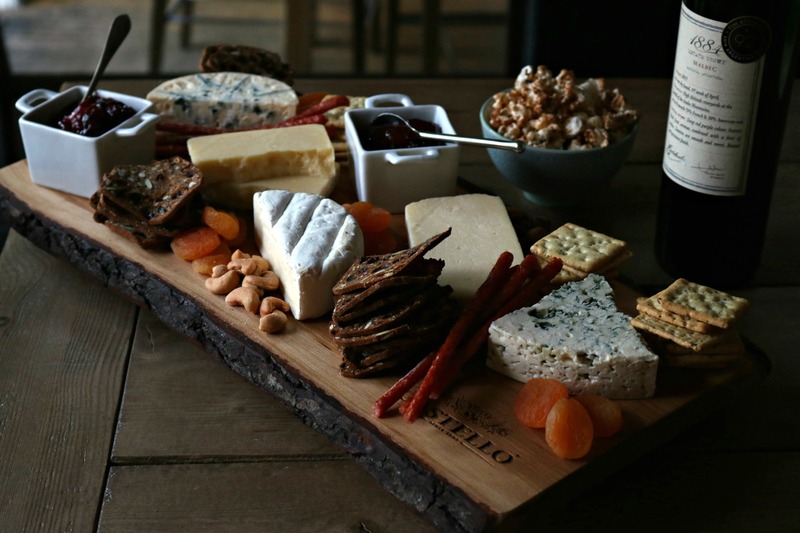 That is a beautifully displayed cheeseboard, filled with mouth-watering goodies! I tried the Castillo cream whit and the blue cheese this past weekend. I’d love to win this prize and have a spontaneous girls’ evening!! Yum! 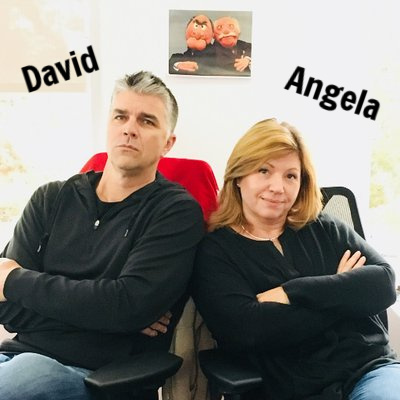 I love this as the best solution to getting together without anyone spending time they don’t have trying to decide what to make or pick up at the store. Buy cheese, buy crackers, but a few food accessories or dig some out of the pantry, and away you go! Can I enter if not on Facebook? I think they’re running their contest only on Facebook. Sorry! I’d like to enter too,please. But I’m not on Facebook . 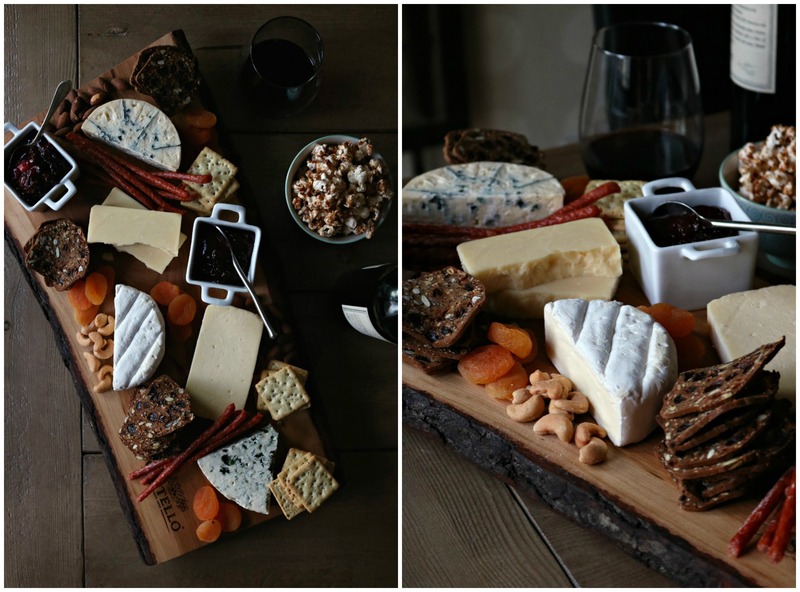 A cheese board with a glass of wine is an all time favorite meal – entertaining or not. Oh yes!! I love a rubble of Parm with honey and black pepper… yum! !